As a photographer or producer, you wouldn’t want to remove your favorite shot from a film because an angry person does not want his face seen on a screen made for public view. And rightfully so, you yourself wouldn’t want footage of you floating around the Internet or whatever media it is without having the opportunity to oppose, whether violently or apprehensively. 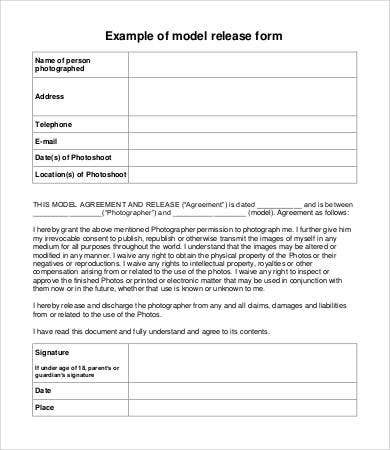 Whichever end you are in this relationship, you can use a release form to ensure that the person agrees and do not object the use of the material to whatever purpose the release is for. 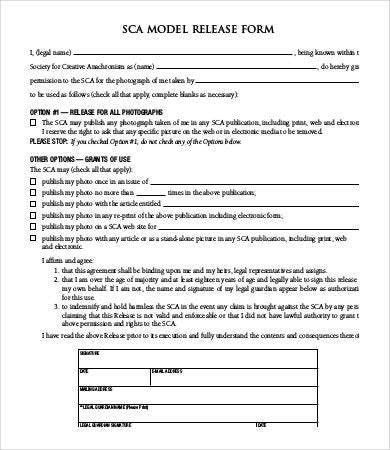 Have a look at the Form Templates for model releases on this page and use them to create your own release form. 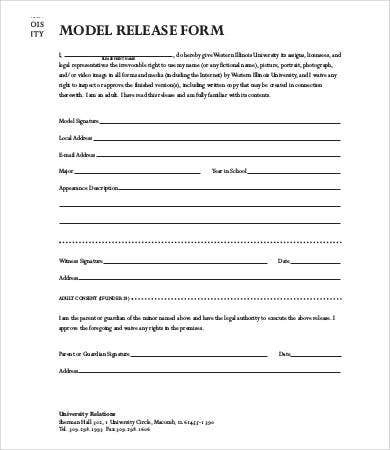 A release form waivers the model’s right to approve or disapprove of the finished product. People might object when their appearance or expression is unflattering in the finished product, it removes their right to complain and have the shot removed. 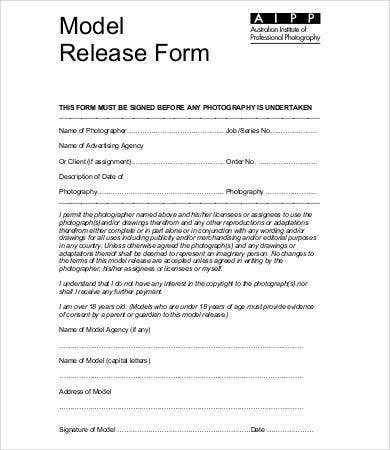 It specifies that the signer acknowledges that the production or shoot is conducted professionally and no harm is done to the talents and agreements are being discussed and all activities are in accordance with the law. 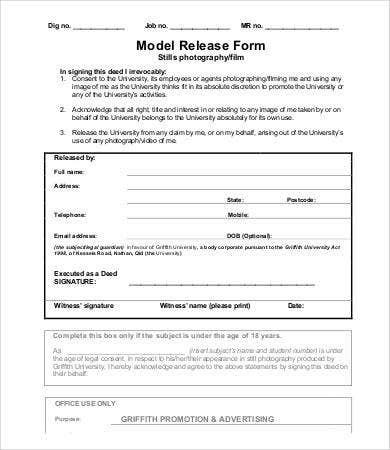 It also ensures that the models and talents in the production did not breach any or another contract by participating in your film or video. Companies do not want their models to appear in another ad promoting a product from a competitor. It protects the signer’s right to allow disclosure of sensitive information or not, such as the health status of a person or the amount of money being paid. 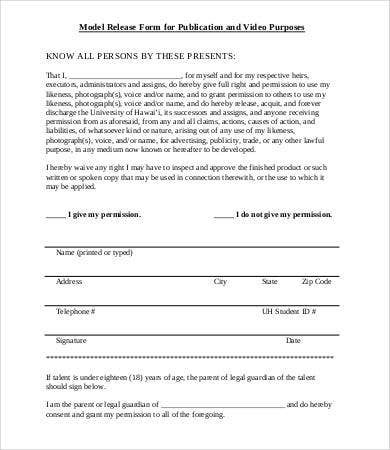 This can also be stipulated in a contract (see our website’s collection of Contract Form Templates). It encourages the benefits of giving credits to appropriate people and good attribution by avoiding copyright and permission issues as well as plagiarism and other misconduct. Curtailing liabilities. Any activity, especially done in some locations, carries out a lot of risks. 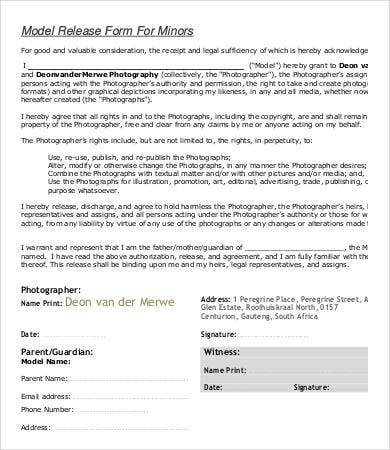 A release form limits the liability of the photographer in the event participants sustain injuries or damages while doing the shoot. Shooting in public places. 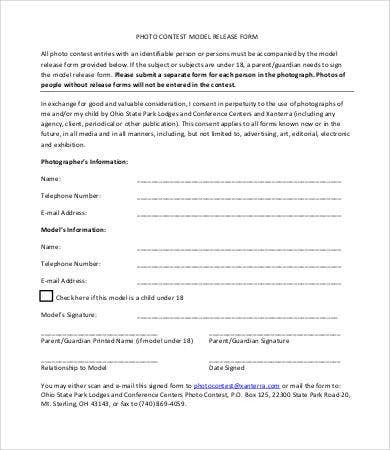 When shooting a group of people in a public place, any individual that stands out in the photo or video because of their unique look or other distinguishing characteristics such as tattoos should sign a form. Creating materials. Marketing materials such as real customer stories and testimonials are very effective in selling a product or service. However, these customers should agree to have their stories published first. Contract termination. 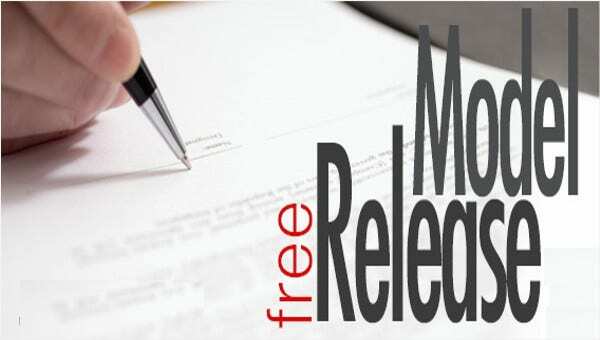 Release forms are also used to terminate a current contract that is no longer beneficial for either parties. This means that both parties agree to end their respective duties and obligations even if the contract is not due yet. Do not forget to check out other templates on this website that might be useful to you such as the Training Assessment Form.